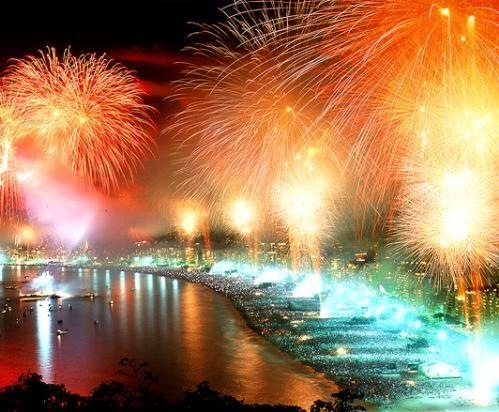 Let's go with us on a New Year's holiday in a super tour,,ru,In addition to meeting the New Year in white clothes on the beach,,ru,you will see a statue,,ru,Christ the Savior of Corcovado,,bg,take a dip in the beautiful,,ru! и пройдетесь по современной Лиме – столице Перу. Prices and availability are confirmed upon booking,,ru,This tour you will remember for life,,ru! Arrival in Lima. Meeting at the airport with English speaking guide, Transfer to hotel. Free time and relaxation after a long flight. Breakfast in the hotel, after breakfast, you expect a tour of the city. You will see the historical monuments Lima - an impressive pre-Inca civilization and the era of the Spanish conquistadors – Plaza Mayor, Cathedral, government House, Convent of San Francisco with beautiful cloisters and catacombs, used as a cemetery during the colonial era. Will travel on modern elite districts of Lima: Miraflores Central Park, San Isidro with olive grove, Country Club and golf course. You also visit the main shopping streets, such as Larco Avenue. Next visit to the Gold Museum. Here is a collection of gold ornaments of the ancient Peruvian cultures. The exhibition presents jewelery and ornaments, since pre-Inca era, mystery that is not solved until now. Earrings, ceremonial swords, articles of emerald, pearl and blue stone, "lapis lazuli" and poncho, embroidered with gold plates - all made by skilled hands of old masters. The Museum also presents a magnificent collection of ancient weapons from around the world. Breakfast in the hotel. Transfer to the airport with English speaking guide. Fly to Cusco. On arrival met at the airport with English speaking guide. Up next is a tour of the city of Cusco with English speaking guide visiting the c “Korykancha " (Temple Solntsa), it is here that the Incas carried out its main ritual celebration – winter solstice. Then visit the four ruins blizhayschie: Temple Kenko, Red Fortress of Puca-Pucara, Tamʙomacai (water Inca center of worship) and architectural complex Saksaiuaman (religious buildings, fortress, tower and canals built from huge blocks. At the end of the tour transfer to the hotel. Full day excursion to Machu Picchu - “Lost City of the Incas "with Russian speaking guide. In Machu Picchu left most enlightened priests after the fall of the Inca Empire, this city the Spaniards have not been able to find. Мачу Пикчу был построен из огромных известняковыx глыб без использования скрепляющего раствора на вершине горы в окружении непроходимых джунглей. It was discovered by an American archeologist Iram Bingham only 1911 году. Oʙed. Return to Cusco by train. Arrival, Transfer to hotel. Excursion to the most high navigable lake in the world – Titicaca. Trip to the islands Uros, built of cane. Aymara Indians live here. They preserved the traditional way of life, customs, beliefs and costumes. Then a visit to the majestic ruins of Tiwanaku (1,580 +1,000 BC) with English speaking guide – it's all, that remains of the Tiwanaku civilization – one of the oldest civilizations in South America. You will see the Sun Gate, Kalasasaya temple and pyramid, beautiful monuments of the glorious past of Tiwanaku culture. Tivanakantsy were skilled in agriculture, hydraulics, architecture and medicine, and also in the social organization. Because of natural disasters, including long periods of drought, Tiwanaku civilization suffered a complete collapse at the end of the first millennium BC and mysteriously disappeared. After the tour departure to La Paz, a short tour of the city, hotel accommodation. Breakfast in the hotel, Excursion. Excursion to the Moon Valley – natural formations of clay and limestone – so similar to the lunar terrain. the place resembles the lunar surface due to the unique formations of salt, Sand and stone, emerged over thousands of years by water and wind. After the tour you will be transferred to the airport for the flight to Santiago. Upon arrival you will be transferred, which will take you to the hotel. After breakfast, you expect a city tour. Santyago de Chile - a very interesting historical, residential and business areas of the city. Take a walk through the historic center - and you will see the Plaza de Armas ("Plaza de Armas") with a monument to the founder of the city - Pedro de Valdivia, as well as the monument "Freedom America" ​​and a monument to the first Chilean Cardinal – Jose Maria Caro. The buildings of the Presidential Palace of La Moneda – the greatest neo-classical building of times of conquistadors , Cathedral, Central Post striking elegance of architecture. You walk along the main street of the capital, at Forest Park on the hill of San Cristobal and visit the bohemian neighborhood of Bellavista. Very interesting modern building commercial and residential buildings. Breakfast in the hotel, and then, accompanied by Russian-speaking guide you will be taken to the airport for the flight to Buenos Aires. Upon arrival in the capital of Argentina awaits you guide, that will take you to the hotel. Hotel accommodation. Free time. Buenos Aires known worldwide, first of all, as the birthplace of Tango. And no doubt, This is the best city in the world for fans of this famous dance. but, Besides, here you will certainly feel the extraordinary charm of this cosmopolitan city of Eva Peron, with its famous palace Casa Rosada, the former port of Puerto Madero, kvartalom Kamynin, Florida street, football stadium Boca Hunior, Cathedral, National History Museum, Botanical garden. This multi-faceted city is so full of interesting places, which simply need to visit, it is impossible to list them all. After breakfast, you go with a guide on a tour of the city. This tour will give you the opportunity to know the multifaceted life of the city and its obitateley.Vy see the symbol of the city 67 meter obelisk standing on the widest street of the world Avenue 9 iyulya.Vy see extraordinary park in the Plaza de Mayo, as well as the St. Martin area, Congress Square,авеню Корриентес.Майо и многое другое.Вы посетите исторические районы города Ла Бока,San Telmo and Montserrat and elegant and prestigious areas of Palermo and Rozeleta.V tour program includes a visit to the modern city:Puerto Madero and Lezama and name parks 3 February. Rounding out the program of the day visiting the financial and commercial city center and football stadium. Breakfast in the hotel, You will continue to fly to Foz de Iguacu. Upon arrival meeting with English speaking guide, Transfer to hotel. Breakfast in the hotel. Next you will find a rich excursion to the Brazilian side of the falls. Foz de Iguassu Falls, located on the border of Brazil, Argentina and Paraguay, - this 275 huge water flows, the breaking with terrible height. Waterfalls are located in the national park with its unique flora and fauna, It arose as a result of a volcanic eruption and displacement of earth formations. waterfalls name translated from guaraniyskogo means "big water". 275 waterfalls, each of which has the name, cascading into the gorge with a roar "Devil's Throat". Surprising contrast between calm and even lazy over the waters of the river above the Iguassu Falls and the overthrow of powerful streams of water bubbling from a height 72 meters into the abyss. You can stand for hours, without stopping, contemplating the sight and thought of our universe, glory and eternity. Breakfast in the hotel, Transfer to the airport for the flight to Rio de Janeiro. Upon arrival in Rio de Janeiro you met an English speaking guide, with whom you will go to the hotel. Free time. tennis, windsurfing, rafting, дайвинг, hang-gliding and more. Numerous outdoor cafes on the beaches will quench your thirst with cold coconut water, fresh juices and other beverages. On the beaches you can see concerts of musicians in different fields. Breakfast in the hotel. Tour Corcovado and Tijuca forest with a guide. We encourage you to relax and prepare for the Samba show. You will be a fantastic evening, grand event - the long-awaited Carnival Sambadrome! From the hotel we go to sambódromo - venue of the world famous show. In front of you in all the splendor of its unique costumes after the representatives of the most famous samba schools in Brazil. Throughout the night, you can enjoy this magnificent, stunning spectacle. After the parade, we will take you back to the hotel. Breakfast in the hotel. Next City tour in Rio de Janeiro and a visit to Sugarloaf. Your guide will meet in the hotel and it accompanied you ride on Red Beach, from the cable car up the mountain Urca. It offers a wonderful view of the Rio. second line – Sugar Golovy.Otsyuda to the entire city is visible at a glance! You amazing views of the main attractions of Rio de Janeiro: Lemme beaches, Copacabana, Ipanema, Leblon and Flamengo, Mount Corcovado and the Statue of Christ, an impressive array Tijuca Park, Guanabara bay, city ​​center, Santos Dumont Airport, Bridge Rio - Niteroi Niteroi himself, as well as many other beauty, for which Rio so loved around the world! Further, driving down the cable car, you will visit the historic part of Rio de Janeiro. Breakfast in the hotel. Then transfer to the airport for international departure. Entrance tickets and transfers to the carnival! Такое турне вы запомните на всю жизнь!! !